Uniform Services – Magic Services Inc.
Oklahomas Premiere Linen Company Since 1965! At Magic Linen Services we specialize in all kinds of linens. Not only do we specials table cloths and napkins but also commercial and customizable uniforms. We are direct seller for some major distributors, so we can guarantee you are getting the best price around town! With our partner Scott Cleaners Inc, all your items can also be dry cleaned or laundered. The attire of your staff also embodies the ambiance of your establishment. While being a direct seller, we offer uniforms for the front of the house as well as back of the house. With pieces available for your, host, waiters, bus crew, and kitchen staff. This quality brand worn by your favorite celebrity chefs and your favorite food network chef wears these garments. Get the top of the line kitchen uniforms and linens. Red Kap is a well known industrial uniform manufacturer who caters to more than 16,000,000 industrial professionals. Since we are direct sellers for SanMar, we offer a W I D E variety of clothing from many different brands such as Nike & Nike Limited Edition, Eddie Bauer, The North Face and many more well known brands! Dickie Uniform Store is the place for your trade occupation uniform needs. 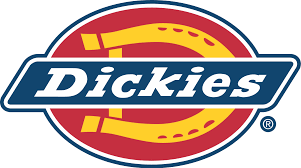 We are direct sellers for Dickies Uniform Store, so we have every Dickies item available. Copyright © 2019 Magic Services Inc.